The Rautio Piano Trio is an award-winning and critically acclaimed ensemble, known for their innovative and captivating performances. The Trio presents highly imaginative programmes incorporating rarely-performed works alongside the cornerstones of the repertoire. The Trio has performed at the Wigmore Hall, South Bank, Bridgewater Hall, on BBC Radio 3, throughout the UK and in France, Austria, Germany and Israel. Join the Rautio Piano Trio for a concert of 19th-century German masterworks beginning with Beethoven’s famous Ghost Trio and closing with Brahms’s G minor Piano Quartet and its exuberant Hungarian-inspired Finale. In between comes a work by Ferdinand Hiller, a pupil of Hummel and a prolific composer who knew many of the famous German musicians of his age. The Trio are delighted to welcome violist Robin Ashwell from the Sacconi Quartet for the Brahms. The Rautios were guests on BBC Radio 3 for the Free Thinking Festival: The One and The Many. Listen to the Trio talking about the dynamics of playing in a piano trio, followed by extracts from their new CD [at 25:30]. The Trio also appeared on ‘In Tune’, performing live in the studio and being interviewed by Sean Rafferty. Their latest CD features the world premiere recording of Hiller’s Piano Trio in C minor Op.186. With a programme that includes the world premiere recording of Ferdinand Hiller’s Piano Trio No. 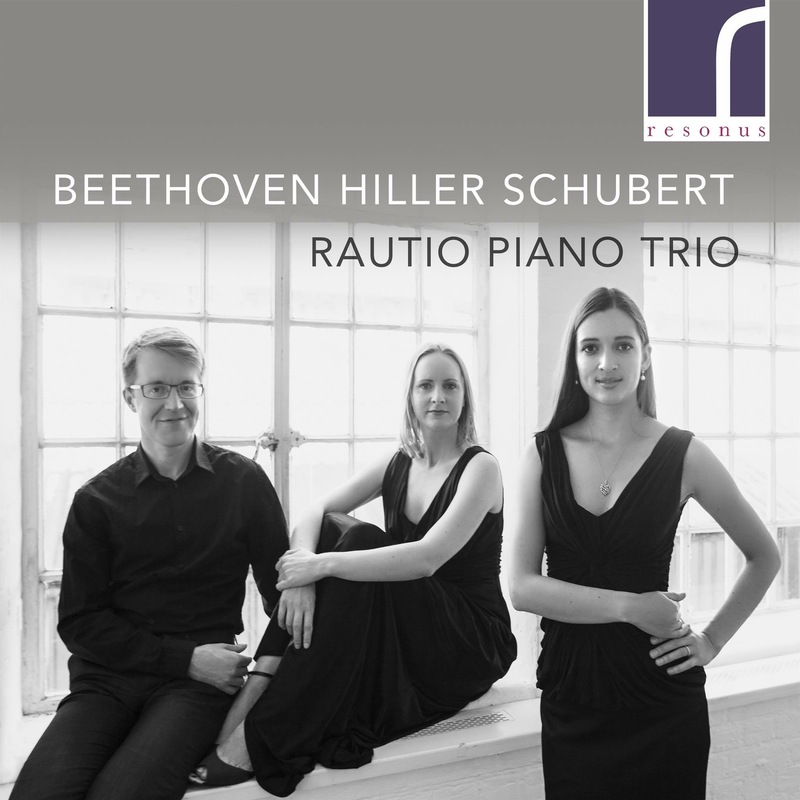 6 in C minor alongside Beethoven’s ‘Ghost’ Trio and Schubert’s Piano Trio in E-flat major ‘Notturno’, the Rautio Trio present three striking and individual works each notable for their use of a nocturne, evoking the quiet night-time and an atmosphere of poetic reflection. Click here to see the artist page with Resonus Classics and samples from the tracks. See Discography page for more details. 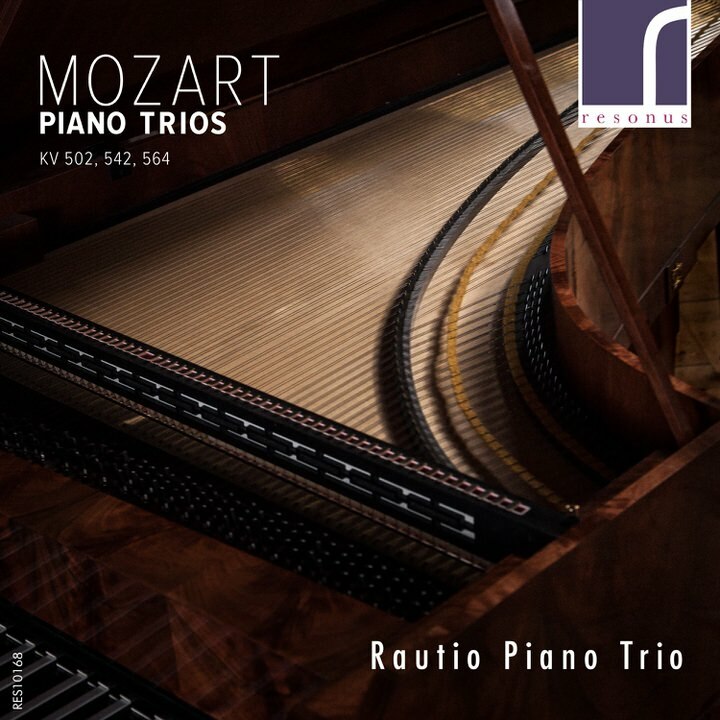 The Rautio Trio made their Resonus Classics recording debut in 2016 with a disc of three piano trios by Mozart . The disc has received glowing reviews in The Observer (4 stars), Classical Ear (5 stars), Gramophone, Early Music Review (5 stars), Lark Reviews, The Strad and in Limelight Magazine (Australia). It was played on BBC Radio 4 and BBC Radio 3 Record Review. Click here to see the artist page with Resonus Classics and samples from the tracks. See Discography page for reviews and more details.